For there is no pasture for thy servants' flock. That this signifies that memory-knowledges are wanting in which are the goods of truth, is evident from the signification of "pasture for a flock," as being the memory-knowledges in which are goods of truth; thus "no pasture" is memory-knowledges in which there are no goods of truth. 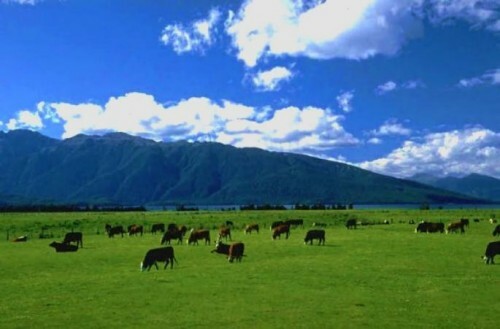 "Pasture" in the internal sense is that which sustains the spiritual life, and especially is it the truth of memory-knowledge, for the soul of man desires this as the body desires food. This truth nourishes, and therefore "to feed" denotes to be instructed (see n. 5201). That memory-knowledges and truths sustain the soul of man is very evident from man's longing to know things, and also from the correspondence of food with memory-knowledges (n. 1480, 3114, 4792, 5147, 5293, 5340, 5342, 5576, 5579, 5915), which correspondence also shows itself in man when he is partaking of food, for if this is done while he is speaking and listening, the vessels which receive the chyle are opened, and he is more fully nourished than if he is alone. Spiritual truths and instructions in them would have the same effect with men if they were in the affection of good. That truths nourish the spiritual life is especially manifest with good spirits and with the angels in heaven, for both good spirits and angels have a constant longing to know things and to be wise; and when they lack this spiritual food they feel desolate, their life is languid, and they are hungry; and they are not restored and raised into the bliss of their life until their longing is satisfied. But in order that memory-knowledges may yield healthful nourishment to the soul, there must be in them life from the goods of truth. If there is no life from this source, the memory-knowledges do indeed sustain the man's interior life, but only his natural life, and not his spiritual life. "they have found no pasture" denotes no truth of good. I knew thee in the wilderness, in the land of drought. When they had their pasture, then were they sated; they were sated, and their heart was elated (Hos. 13:5, 6). The beast groaneth, the herds of the ox are perplexed, because they have no pasture, yea, the flocks of small cattle are made desolate (Joel 1:18). Jehovah is my shepherd; in pasture of herb He will make me lie down; to the waters of rest He will lead me; He will restore my soul (Ps. 23:13). Jehovah hath made us, and not we ourselves; His people, and the flock of His pasture. [Or,] therefore we are His; His people, and the flock of His pasture (Ps. 100:3).